Karew Records, home of the Grammy Award-winning Clark Sisters and multiple award winners Karen Clark Sheard and Kierra Sheard, announced exciting new changes, new branding, new music, new visuals, and more during it’s relaunch showcase event on Tuesday, September 19 at Studio 51 in Detroit. Upon entrance into the venue, guests were shown the all-new apparel by Karew. Additionally, Karew revealed their expansion plans to become a multi-genre label. The showcase included a musical performance by Karew’s-own Kierra Sheard. 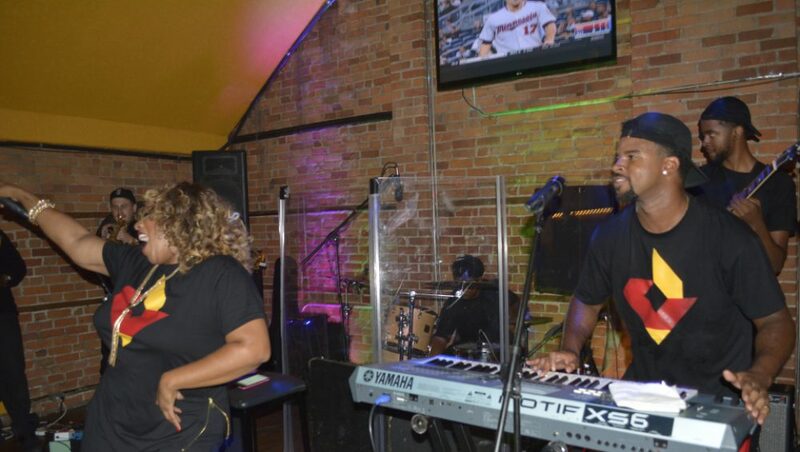 Sheard gave attendees an exclusive listen to her new music featuring rapper, Sir The Baptist. Additionally, J. Drew & The Band performed. Recently, Karew celebrated the success of the No. 1 Billboard Gospel single, “Hang On.” “Hang On,” was lifted from the album, GEI LIVE, and made a Top 5 debut on Billboard’s Top Gospel Albums chart upon its release. Karew Records current roster includes: Karen Clark Sheard, Kierra Sheard and The Clark Sisters, who were recently sampled on rapper Jay Z’s 4:44 album. Kierra Sheard is currently featured on Lecrae’s song, “Worth It” lifted from his new album All Things Work Together.